Welcome to Meme Couture, where your everyday memes meet your not-so everyday Haute Couture. Something I’m sure would make the founding members of Chambre Syndicale de la Haute Couture and the OG Coutierers turn in their graves. Haute Couture is French for High Sewing or High Fashion, and nothing about Meme Culture is High, unless of course it’s a 420 meme, but that’s a different type of high. This is 2019, where in fact the EU is currently trying legalise the right to ban memes. Yes, this is a real thing and it has a lot to do with copyright. 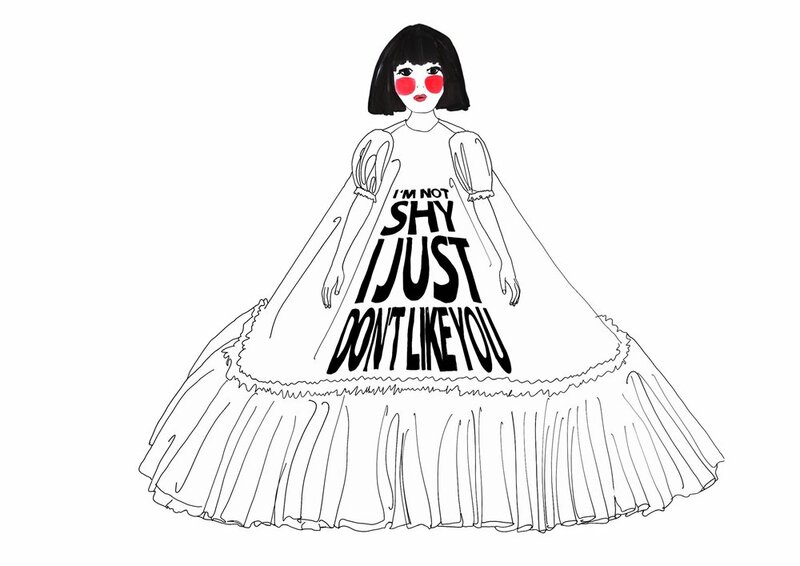 So it makes perfect sense to see meme culture, which has infiltrated into basically, every aspect of modern life, infiltrate into Haute Couture gowns by Viktor and Rolf. If you are one of the very few who who have no idea what I’m talking about, put simply, each one of these popular Instagram/Meme Statements was plastered on a wonderful tulle creation by Viktor and Rolf. 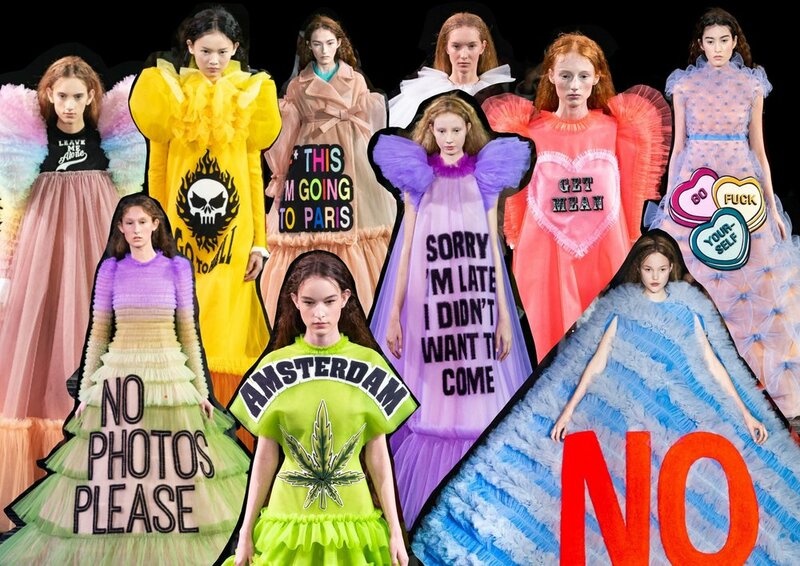 This is certainly not the first time we’ve seen this kind of thing from the Dutch design duo and it’s not the first time they’ve put a big ‘NO’ on a garment. It is also not the first time that they have taken such drastic measures, or challenged tradition and expectation with their art. It is what they’re good at, it is why we love them. Destroying perfect, dreamy creations to take fashion to the next level while attempting to decipher what is going on in their genius minds. The obvious thing to do is to look at what they are saying because they words are literally yelling it out at you. But my question to you is, what is it that they are not saying? To me this collection is about power. It is about the power to say and do exactly what’s on your mind and looking damn fine while doing it. Wrap yourself in 8km of tulle, no less. Say NO. Say F* IT I’M GOING TO PARIS, and stop making excuses for being late, just say Sorry I’m late I didn’t want to come. Sorry not sorry. If it’s good enough for Haute Couture, it’s good enough for you.